Jeff founded Moscaret Investment Advisory in 1999 with the objective of providing clients with knowledgeable and independent advice. The firm focuses on developing a long-term, one-on-one relationship with clients, while providing customized solutions to their wealth management needs. Moscaret Investment Advisory is a boutique firm by design. Jeff felt that by focusing on a smaller number of affluent clients, he would be more able to provide a unique approach of true concierge services to all of his clients. 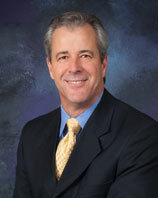 Jeff has been in the wealth and investment management profession since 1986. Due to his extensive experience, he has been interviewed on local television news broadcasts regarding the market and portfolio management. He has also been featured and quoted in national financial publications relative to both investment and financial planning topics, including Research Magazine and Investment News. 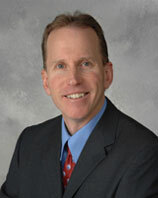 In addition, in 2008 Jeff had been nominated by the Winner’s Circle publication as one of the most outstanding financial advisors in the business of financial and wealth management planning; the publication recognizes individuals who possess the highest level of ethical standards, professionalism, and success in the business. Jeff has once again been awarded the 2017 Five Star Wealth Manager of the Year Award*, which was published in Los Angeles Magazine. Jeff and his wife, Valerie, live in Monrovia, California. In his spare time, Jeff enjoys golf, reading, traveling, and spending time with his family. He is also an active member of the Pasadena Optimist Club. Jeff is a Registered Representative and Investment Adviser Representative with/and offers securities through Commonwealth Financial Network®, Member FINRA/SIPC, a Registered Investment Adviser. Jeff is also an Investment Adviser Representative of Moscaret Investment Advisory, a Registered Investment Adviser. Advisory services offered by Moscaret Investment Advisory are separate and unrelated to Commonwealth. Jeff Moscaret is proud to have been recognized as a Leaders Level advisor for 2018—a distinction based on annual production attained by just 7 percent of advisors affiliated with Commonwealth Financial Network. *The Five Star Professional Wealth ManagerTM Award is based on 10 objective eligibility and evaluation criteria, including a minimum of 5 years as an active credentialed financial professional, favorable regulatory and complaint history, accepts new clients, client retention rates, client assets administered, education, and professional designations. 2,357 Los Angeles wealth managers were considered for the award; 287 (13 percent of candidates) were named 2017 Five Star Wealth Managers. (The criteria provided reflects the most recent year for which advisor received the award. The criteria used, the number of wealth managers considered for the award, and the percentage of those who receive the award, may vary from year to year). These awards are not indicative of the wealth managers' future performance. Your experiences may vary. For more information, please visit www.fivestarprofessional.com. As operations manager, Lance is responsible for overseeing the daily operations of the firm. In addition to verifying and reconciling daily trades, he creates portfolio assessments for client reviews and coordinates the development and designing of retirement analysis. Lance also addresses and resolves any client service issues or concerns, oversees the minimum distribution requirement on IRAs, and manages and enforces compliance guidelines for the firm. A graduate of California State University Sacramento, Lance has been active in the financial services industry since 1990. He previously worked as a financial planning assistant for American Express Advisors; Lance has been working with Jeff since 1995 and has been with Moscaret Investment Advisory since 1999. Lance was recognized in 2010 as Commonwealth Financial Network's Assistant of the Year and has also been quoted inResearch Magazine for his expertise on how an assistant is able to add value to an advisor's practice. Lance and his wife have two sons. In his spare time, he enjoys spending time with his family and coaching his sons with their sports interests. He also enjoys playing basketball and tennis, traveling, and reading.